I want to tell you a story. It’s a story of fighting against all odds. Of escaping certain death. This is a story of survival. Today I want to talk a little about the importance of farm animal sanctuaries and share the incredible stories of some sanctuary residents. Now a lot of my videos focus on the horrors of the animal products industry, and we cannot ever lose sight of those atrocities. We slaughter over 150 billion animals every year; that’s over 5,000 killed every second. But there are some survivors. They are few and they are miracles. They are refugees from the most vicious, longest, and bloodiest war our planet has ever seen. These few who manage to escape need sanctuary–a place to live out their lives free of the exploitation they so narrowly avoided. This is the role farm sanctuaries play: They are safe houses for refugees, providing shelter, food, water, and, most importantly, freedom. I myself have visited and volunteered at SASHA Farm Animal Sanctuary in Manchester, Michigan and seeing the animals there plants a seed of cautious hope that some day, every animal can live free. I’d like to introduce you to some of these survivors. Meet Jefferson. 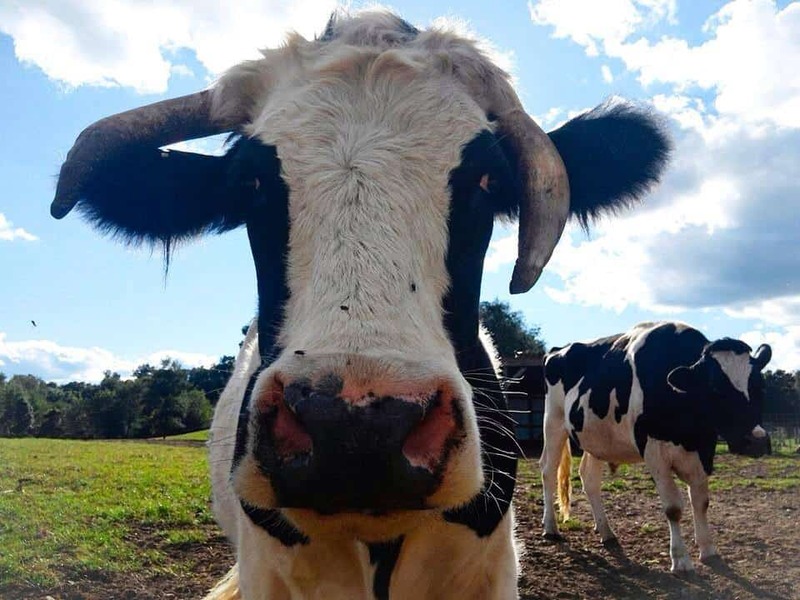 He was raised on a farm destined for slaughter, where he was sold by the pound and loaded onto a truck headed to a slaughterhouse in Detroit. But Jefferson, like every living being, didn’t want to die. He somehow escaped and he ran. He literally ran for his life down Jefferson avenue in Detroit, garnering much media attention and bringing light to the obvious fact that animals do not want to be our food. Jefferson was eventually caught and through intense negotiations and public outcry, the slaughterhouse finally agreed to set Jefferson free. He came to SASHA Farm and now lives with his bovine brethren in peace. Fargo had a similar story of escape. About a decade after Jefferson’s flight, 3-year-old Fargo was being held in a pen at a meat processing plant in North Dakota. Minutes away from slaughter, Fargo broke loose from the pen and ran for freedom. Once destined to be killed at age three, he can now live for 20 more years or more, the natural lifespan of cows, which they so rarely get to reach. 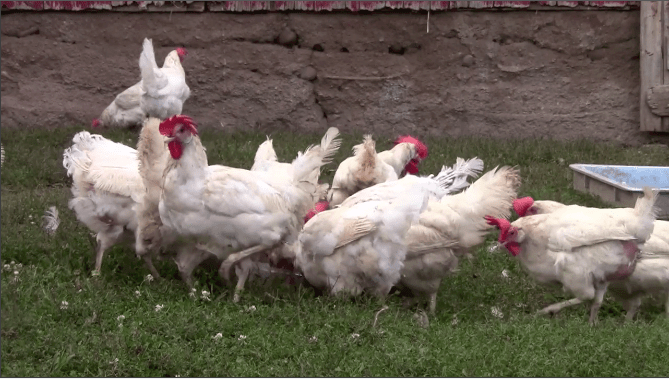 Last September, SASHA farm rescued 100 battery hens from a group of 3,000 who had been saved from gassing at a California egg farm. These hens had never before touched the earth, never seen the sky, never been able to stretch their wings. They’d lived the entirety of their lives cramped into battery cages on top of one another. These are but a few of hundreds of stories of survival. And it is important that they are told. By their very unlikely existence, these refugees call attention to the war at hand. for every on who escapes, millions do not. These few are no longer someone’s property, no longer something owned, but someone free to live. 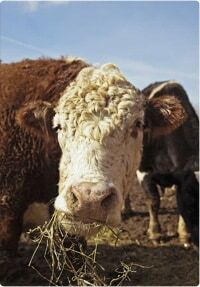 Farm sanctuaries are so vital to the animal rights movement. These survivors deserve a place to live unexploited. This is happening on an international level, with the 269 activists of Israel recently founding their own farm sanctuary. They are just getting started and already have a growing community of animals who’ve finally found their freedom. So tell these stories, and give a face to the billions of animals murdered every year. The number is so unfathomable and the victims intangible that it’s easy for people ignore the slaughter. But when you look into the eyes of someone who has escaped this war, they tell you that it is very real. As Dorothy says, it really only takes one to change your life. How touching!!! Thanks for this uplifting story…….